Here’s a complete list of major annual Korean music festivals and year-end award ceremonies in South Korea for K-Pop fans! The Dream Concert is one of the biggest annual K-pop festivals in South Korea and Asia, which features some of the most in-demand K-pop stars of the year! It’s indeed one of the hottest Hallyu concerts in Asia and boasts a stellar line-up every year. This year, Trazy offers Dream Concert 2019 standing zone ticket with Everland 1 day pass ticket. Dream Concert 2019 will be held on May 18, 2019. 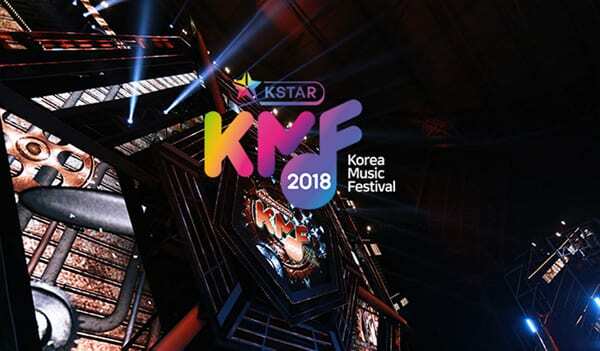 KMF Korea Music Festival is an annual K-pop concert that aims to create programs that artists and fans can interact through diverse performance formats. The music festival always boasts star-stubbed line-ups and fun activities. Incheon K-pop Concert (INK), hosted by Incheon City and the Incheon Tourism Organization, is one of the leading K-pop concerts that bring high-flying K-pop artists and K-pop fans all over the world together. The concert usually takes place at Incheon Munhak Stadium in September. Organized by South Korea’s Ministry of Foreign Affairs, K-pop World Festival brings all K-pop fans and future K-pop stars to Changwon, the southern part of South Korea. You can take part in the festival as a competitor or just to enjoy the performances and competitions. Asia Song Festival (ASF), or A-Song-Fe, is an annual Asian pop music festival. The festival praises and celebrates the achievements of pop artists from Asian countries. As part of the DMC Festival that celebrates achievements of MBC, one of the leading broadcasting stations in Korea, DMC Festival Kpop Concert invites the hottest K-pop artists and showcases eye-catching performances to the audience. The festival takes place at MBC Sangam Culture Square in September. Boasting glamorous artist line-ups for its various events, Busan One Asia Festival takes places every autumn in Busan. The 10-day festival kicks off with a grand opening ceremony featuring only the best K-pop artists followed by other concerts and showcases including BOF Park Concert, Open Studio, Cover Dance Contest, Fan Meeting and more. Started in 1990, Seoul Music Awards is one of the biggest K-Pop events in South Korea. This music awards feature the best artists and singers every year. The winners are selected from singers who have released albums during the year, through mobile votes, the popularity poll, digital downloads and album sales, and judges’ scores. One of the year-end awards shows in South Korea, the Golden Disk Awards celebrates by giving awards to the artists have made outstanding achievements in the music industry. The Gaon Chart K-Pop Music Awards is one of the major music awards shows in South Korea. Every year, Gaon Chart, the national music record chart, give awards to the winners according to data for sales of songs and albums from previous year’s Gaon year-end chart performance. The Korean Music Awards is another major year-end music awards show in South Korea, which acknowledges the achievements made by music artists in the past year. Renowned music critics, music radio producers, and other professionals within the Kpop industry decide the winners. The Fact Music Awards is a new awards ceremony that features fans and K-pop artists together. This new type of K-pop music awards will be held on April 24th at Incheon Namdong Gymnasium this year. Trazy offers both seating and standing seats with the Everland theme park 1 day pass and transfer options! Soribada Best K-pop Music Awards is an award ceremony hosted by Soribada, a Korean music platform, and it is usually held in August or September. It took place at Seoul Olympic Gymnastics Arena last year. Asia Artist Awards recognizes the outstanding achievements of Asian artists in the TV, film and music industry. The 2018 AAA took place at Incheon Namdong Gymnastics Stadium in November. MBC Plus and Genie Music will be holding the MBC Plus X Genie Music Awards (hereafter MGA) for the first time this year. The ceremony will feature impressive performances from top K-pop artists as well as collaborations with foreign artists. Mnet Asian Music Awards, or MAMA, is one of the biggest music awards that is broadcast in 4 continents, including Asia, Europe, North America, and Oceania. Every year, MAMA presents a spectacular concept and theme of stages and shows. KPMA is a new music awards festival which will feature not only the hottest K-pop stars but also some of the legendary stars who have led the Korean music industry. KPMA is about to host their very first event in Korea, so expect various K-pop titans to make an appearance for sure. Hosted by Seoul Broadcasting System (SBS), SBS Gayo Daejeon, also known as SAF Music Awards, is a major annual end-of-the-year music award show. Today, it’s held together with SBS Entertainment Awards and SBS Drama Awards as a part of SBS Awards Festival. MBC Gayo Daejejeon is one of the best year-end music award ceremonies. The MBC, one of the 3 major broadcast corporations in South Korea hosts the show Dec 31 every year. One of the popular annual year-end events, KBS Gayo Daechukje, also known as KBS Music Festival, is held by the Korean Broadcasting System (KBS). The best artists are selected by viewers’ text-message vote. The MelOn Music Awards is another major music awards show that takes place annually in South Korea. Based on digital sales and online votes collected from online music store MelOn, the winners are selected. Stay tuned for updates! 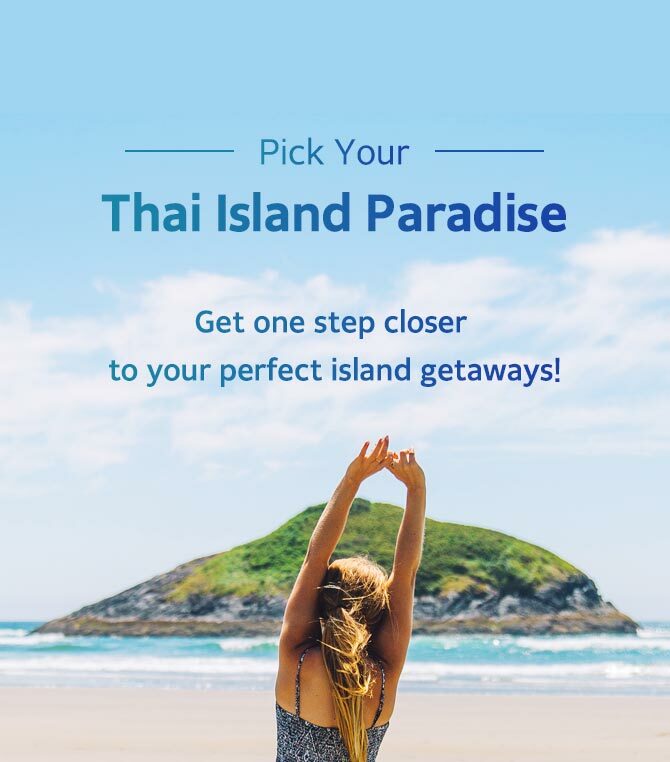 Make sure to check out Trazy.com, Korea’s #1 Travel Shop, for K-pop concert tickets! Next Post:Everland Discount Ticket Promotion for Foreigners Only! Hi can i know if tourist can come to this event? And how to go? have to buy ticket? Which event are you referring to? Hi, may i know if tourists can go for the KBS, SBS and MBC Gayo Daejun? If possible, where and how do we purchase the ticket? You will have to apply for the tickets on each of their websites in order to get inside and watch the ceremonies. Hi, are tickets for sbs or kbs gayo daejun available to buy? but do you know where to get the tickets for this years’ ? For KBS Gayo Daechukje, ticket sale has not started yet, but you will be able to buy the tickets via Yes24, an ticketing website. hi! do you know if the tickets for MBC Gayo Daejejun this year would be available somewhere to buy? thank you for such a quick reply! and could you, by any chance, give me a link to their website? also, the application pages will only be in korean, right? Here is the link to their event page, http://www.imbc.com/broad/tv/ent/event/2016mbc/. And yes, the page is only available in Korean. Hi! Do you have the link to the Yes24 page where they sell the tickets for the KBS Gayo Daechukje tickets? When does the ticket sales start? May I also ask if there are other places/sites where I can purchase the tickets for the MBC Gayo Daejejeon or the Drama Awards Shows should I be unsuccessful in the application for the tickets on their respective sites? Thanks so much! Hi, the ticket sale has not started on Yes24 so there is no link yet. A date for ticket sale has not been announced. But you may want to try applying for the tickets to KBS Gayo Daechukjae here: http://www.kbs.co.kr/2tv/enter/songfestival2016/. Please note that the page is only in Korean. Tickets to MBC’s year-end events are only available through website application. Hope this answers your question. Unfortunately for KBS Drama Awards, there is no separate ticket sale nor online events. hi! do you know when kbs gayo daechukje tickets are available to get? Hello, I have applied for the MBC gayo daejejun on Dec. 31 on their website. Is it possible to ideally increase your chances of winning by creating multiple accounts and applying. And should we make multiple accounts if my whole family wants to attend? Thanks! Thanks! I might have missed this on the website, but it’s the a definite date for when they will they reveal the winners? Do you mean the winners of the tickets? Their website says that the winner announcement will be made on Dec 30 at 5:00 pm KST. Ok, and will it be through SMS or email? SMS will be sent to the registered phone number of the winners. Will you still receive it if you don’t have Korean number? Sorry for all these questions by the way, I’m pretty noob. We do not have a definite answer for you as the website says that the SMS will be sent via the registered phone number. The SMS to the winners has been sent on 26th Monday at 6pm KST, so please check your SMS. If you haven’t received any message, it is highly likely that you have not made it. would the yes24 site sell kbs gayo daechukje tickets? We have checked and there won’t be a ticket sale for the event on Yes24 this year. Hi ! Can i know where to get GAON AWARD ticket ? Hi can you please, make a list of the dates for the music awards or festivals, so that I’ll know earlier. I’m really interested to buy a ticket if I have to. Hello~ can i know how can i attend Asia Artist Award? Will trazy sell the tickets? We do not have any plans to provide booking service for the Melon Music Awards at the moment.